If you’ve never used Power BI before it’s REALLY easy to get started. Simply head over to PowerBI.com and click on the ‘Get Started Free’ button. Download and install Power BI Desktop tool. It’s a free download and this is what you’ll use as your authoring tool. Click ‘Sign Up’ button. You’ll need to sign in with an organizational account (e.g. you can’t use personal email such as @gmail,com @live.com, @Hotmail.com, etc.). If you have a custom domain (e.g. SQLChicken.com), you can use your custom domain email address, otherwise you’ll have to use an organization/work email. Once you’re up an running, check out the Power BI documentation page to help you get started. For this post, feel free to connect and use any data set you want that can be shared without issue. For example don’t publish your company’s data, customer data, etc. There’s a ton of data out there to use that is safe. In fact, the tutorial from the above link lets you download a sample CSV file if you can’t find a proper dataset. Also, Jen Underwood (Blog|@idigdata) actually posted a great list of public data sources you can take advantage of. Want more great Power BI information? Make sure to check out Adam Saxton’s (Blog | @guyinacube) Guy in a Cube YouTube channel and subscribe for awesome bi-weekly, content. Want some inspiration on what you can do? Check out the Power BI Best Report contest that’s currently going on. Be sure to vote for your favorite report before voting closes on February 14th, 2016. 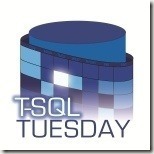 T-SQL Tuesday is a monthly blog party hosted by a different blogger each month. This blog party was founded by Adam Machanic (blog|@AdamMachanic). You can take part by posting your own participating post that fits the topic of the month and follows the requirements below. Additionally, if you are interested in hosting a future T-SQL Tuesday, contact Adam Machanic. Your post must be published between 00:00 GMT Tuesday, February 16h, 2016, and 00:00 GMT Wednesday February 17th, 2016. Don’t rely on trackbacks. Please link to your post in the comments section below so everyone can see your work. Optional: Tweet about your post using the hash tag #TSQL2sDay. I look forward to seeing everyone’s reports! Here we go again with another round of T-SQL Tuesday fun this time brought to you by recent SQL Certified Master (MCM), SQL University professor, and my brother from another mother Robert Davis (Blog | Twitter). So given that I established and run SQL University this topic is right up my proverbial alley! I love the old adage “Give a man a fish and he’ll eat for a day, teach a man to fish and he’ll eat for a lifetime”. My best learning tool is by doing, which I’m sure many of you can relate to. There’s only so much academic knowledge you can soak up before it starts spilling out. Honestly, if something isn’t relevent to me in terms of real-world application I have a much harder time grasping the concept. For instance a year or two ago when I first heard of PowerShell I looked at it and went “oh that looks cool…I guess, not sure what I’d do with it.” Fast-foward to a month ago and I finally get a chance to re-learn the basics and actually apply it before that lightbulb went off in my head that said “oh WOW, I GET it! I heart PowerShell!”. Without that opportunity to really apply the academic knowledge, the education itself goes to waste. Thing is not every job you’re in will call for use of PowerShell, replication, mirroring, etc. so the next best step…do it yourself! The wonderful world of technology now allows us to build virtual machines on our laptops with relative ease. So if your shop doesn’t give you a proper sandbox to play around with advanced features then I highly recommend you install Virtual PC, VMware Workstation, VirtualBox, VMLite or whatever your preferred flavor of virtual platform and get to practicing! If installing and configuring virtual machine’s isn’t your cup of tea (but I highly recommend as you learn lots of lessons by installing/configuring machines from scratch) there’s a free sandbox environment you can experiment with a fully configured SQL Server 2008 virtual machine at http://sqlserverbeta.com . This is a free, no-strings-attached virtual machine complete with AdventureWorks databases installed ready for you to tinker with brought to you courtesy of PASS, Dell and MaximumASP. Ah the Golden Rule: we learn it young and it applies forever. When I learn I like to be entertained a bit as well as soak up good knowledge. I also like to interact as much as possible. This being the case when I do a presentation I try to keep it lively as sometimes straight technical content is…well…boring. I’m sure that sounds blasphemous to some of my fellow geeks out there but you know its true. You’ll be sitting in a session with content that can’t really be demoed (i.e. internals talk). The secret to teaching is making a topic engaging enough that you don’t lose your audience. Although there’s a fine line between entertainment and being annoying. I’ve been guilty of this myself wherein in your attempt to keep it light you come off looking like a clown. Make sure you remember your root cause for being there and that’s to teach. Clowning has its place so remember to toe that line carefully…unless you’re Buck Woody then all bets are off! Anything and everything! I’m like a shark and learning is my water. If I’m not learning, I’m dying. SQL Server is a HUGE product and currently I’m starting to lean towards learning the BI stack. Another key thing that I keep learning and playing with is PowerShell. In all seriousness there’s ALWAYS something to learn and it doesn’t always have to be something as huge as learning an entire product line or feature. Start with baby steps. One cool thing I’ve seen recently is a series of blog posts called “One Cmdlet At a Time” in which Jonathan Medd (Blog | Twitter) learns PowerShell one cmdlet at a time. This is a great example of how you can tackle learning something one little bit at a time. In his case not only is he learning by doing so hands on but he’s teaching as well via his blog. It’s a win for everyone! Stacia Misner reports in on her love for all things Reporting Services. Brad Schultz fills in the gaps for us with a brilliant (as always) Intellisense post. Glenn Berry gives us some great insight on core database engine improvements. If you don’t think R2 brought anything to the core product stop and read this post. Andy Lohn merges several answers together with IntelliSense, Resource Governor and the MERGE statement! Also Andy’s new on my radar and has a witty Twitter name so time to add another person to follow on Twitter/add to Reader! Jason Brimhall packs a ton of great information in his post about compression. Seth Phelabaum talks about the new T-SQL and query writing improvements. This is awesome as I wasn’t aware of some of these new additions! Developers, this is a MUST read! Once again, another great blog added to my reader! Robert Davis, one of the newest folks to attain the prestigious SQL Server Master certification, brings to our attention something you wouldn’t really think about: sysprep support! SWEET! Great walkthrough example using a virtual machine on Windows Server 2008 R2. Definitely an administrator MUST read. Wayne Berry takes us for a trip to the clouds with the SQL Azure team and SQL Server 2008 R2’s SQL Azure integration. If you’re even thinking about putting your database in the cloud check out this post and subscribe to the SQL Azure team’s blog. Kendra Little has plays the dating game in this post where she narrows down three great features (PowerPivot, Data Compression and The Data Collector) and finally comes up with her winning date. Read this post to find out who wins! Bill Fellows hasn’t been able to play with R2 yet but gives a great and detailed walkthrough of how and why to use User Defined Table Types as Table-Valued Parameters. VERY cool! Added to reader. Steve Jones, of Voice of the DBA podcast fame, gives us some great insight on StreamInsight. Honestly this feature also excites me so this is a really nice intro to the feature. Gethyn Ellis is a man after my own heart by talking about Policy-Based Management. Also always great to discover another great blog from across the pond. Ted Krueger, who did a fantastic job last week with SQL University’s HA/DR week, waxes poetic about all of the new changes in SSIS Data Flow Engine. If you care at all about SSIS performance check this out! John Racer, aka @speedracer, could’ve written a whole book on all the new BI features but instead focused on Reporting Services. Nice breakdown of new hotness in SSRS. Mark Blakey talks about PowerPivot and comparing it to a certain scene in Austin Powers (no, not the hot tub scene with Alotta). Also make sure to give him a follow on Twitter as well. Nicholas Cain, aka @anonythemouse, despite claiming to cheat by referencing one of his old SQLServerCentral posts covers a real nice example of how Data Compression helps you save space. Pinal Dave does a fantastic job of covering MERGE operations as well as showing us precisely how it improves performance over traditional methods. Very cool! Developers, definitely check this out! Stef Bauer walks us through the Resource Governor feature and how it works. Pretty cool feature to help cull down those resource-hungry queries from ad-hoc queries. Rob Farley throws us for a loop as his favorite part about SQL 2008 R2 doesn’t even have to do with the features! Check it out. Bob Pusateri is excited by what’s NOT there with his overview of filtered indexes in 2008 and how they helped him solve a specific issue on a homegrown solution. So given that this month we (Ken Simmons, Colin Stasiuk and myself) are proud to be releasing Pro SQL Server 2008 Policy-Based Management I figured this month’s TSQL Tuesday could tie in nicely. So how can one use Reporting Services in conjunction with the power of Policy-Based Management (PBM) in SQL 2008? Well, you’re in luck! This blog post is going to be relatively short and sweet as my expertise in the storage realm is limited. Yesterday I had the pleasure of learning some new and interesting things about NetApp’s SAN technology that I thought was interesting and would share with you. NetApp supports either SATA, Fibre Channel, or SAS disk drives, which it groups into RAID (Redundant Array of Inexpensive Disks or Redundant Array of Independent Disks) groups of up to 28 (26 data disks plus 2 parity disks). Multiple RAID groups form an “aggregate”; and within aggregates Data ONTAP operating system sets up “flexible volumes” to actually store data that users can access. An alternative is “Traditional volumes” where one or more RAID groups form a single static volume. Flexible volumes offer the advantage that many of them can be created on a single aggregate and resized at any time. Smaller volumes can then share all of the spindles available to the underlying aggregate. Traditional volumes and aggregates can only be expanded, never contracted. However, Traditional volumes can (theoretically) handle slightly higher I/O throughput than flexible volumes (with the same number of spindles), as they do not have to go through an additional viritualisation layer to talk to the underlying disk. For Oracle databases it is recommended that you pool all your disks into a single large aggregate and use FlexVol volumes for your database datafiles and logfiles as described below. This provides the benefit of much simpler administration, particularly for growing and reducing volume sizes without affecting performance. For more details on exact layout recommendations, refer to . Follow the hashtag #TSQL2sDay on Twitter to check out everyone’s posts.